Reb Chaim Ozer opposed the creation of a Jewish state due to the danger it would bring. The following is a letter to the Agudas Horabbonim of the United States and Canada, dated the fifth day of Selichos 5697 (1937). The setting is just after the Knessia Gedolah in Marienbad, at which the Moetzes Gedolei Hatorah produced a statement responding to the Peel proposal to partition Palestine. 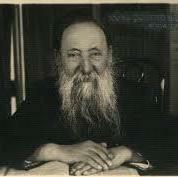 Reb Chaim Ozer had not been able to attend the Knessia due to his health. You have decided to turn to me regarding the burning question of our world, the question of the partitioning of the Land, which, it seems, already has the approval of the British government. It is truly a very difficult question, and the rabbinical authorities must not ignore it, letting it be decided by others. But they are unsure what to do: should they come out with a sharp denunciation of any partition, demanding a complete Eretz Yisroel? Then what will they gain if the government backs down and leaves the dangerous situation as it is now? But if we agree to the idea of partition, on condition that the borders be widened, it is doubtful if even a quarter or a third of our demands will be heeded. If we are extemists and protest any partition, on the other hand, and the government desires our approval, it will make concessions and we will get wider borders. This question requires daas Torah and knowledge, received by tradition, of how the Jewish people acts in such situations. Thus you have turned to me…. It seems that the Torah viewpoint is that we should make efforts in all general areas for the good of our people and our holy Torah. As far as the good of our people, with partitioning of the Land, providing a small area for a Jewish state, it is very doubtful if the Yishuv could spread there. All the more so since they will be surrounded by enemies, as many of the elders of the Yishuv have said, that the shadows are more than the light. And as far as our holy Torah, if it will be a government of the non-religious, who knows what the results will be? It is unnecessary to elaborate. Reb Chaim Ozer also wrote a letter to Rabbi Moshe Blau on the 9th of Shvat, 5698 (1938), cautioning that Agudath Israel not publish a statement of policy on the matter of religion in the Jewish state, because the establishment of a Jewish state was far from certain, and it might look as if Agudah supported the idea.